For some participants, this question brought up a stereotypical portrait of a tall, mature, white man with a larger than life personality. They saw the CEO wearing a suit and sitting behind a big desk in a corner office at a Fortune 500 company. They had perceptions about a hierarchal culture, where the CEO is disconnected from the needs of the workers, yet wields power over them through quick decisions and actions. Because of these stereotypes and other perceptions, many small business owners and startup founders are reluctant to call themselves, or even treat themselves as, CEOs. 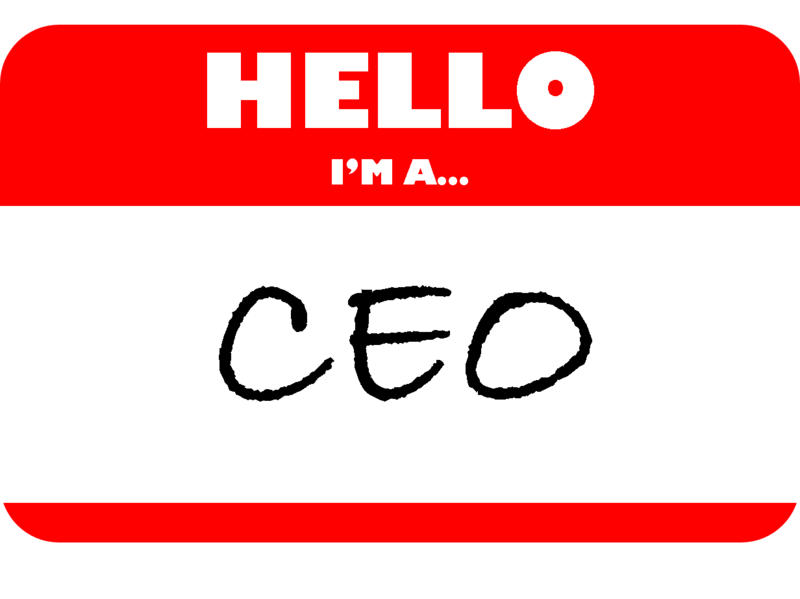 Let’s take a step back and think about what a CEO really does. Fundamentally, the CEO’s role is to lead the development and execution of an organization’s strategy, with a view toward creating value for stakeholders. This means a CEO’s responsibilities are far-reaching and change as the organization grows. At the earliest stage of a startup or small business, the CEO – who is also a founder – is responsible for owning the vision and getting the business off the ground, which requires a great deal of commitment and accountability to oneself, the product or service concept, creating a plan, and taking actions to make the business sustainable. As an entrepreneur, you’re great at coming up with ideas, but ideas alone are not enough. In order to create value, you need to take actions to turn your ideas into reality. At the earliest stage of a business, you are the only one associated with the business, and therefore, the only one to turn the idea into reality. When you do this work, your idea has a greater chance of turning into a valuable business that attracts customers, employees, investors, and other stakeholders. In the earliest stage of your business, you will find yourself getting into the details of developing the product or service, designing operational processes, creating marketing messages, selling the product, negotiating contacts, managing finances, and eventually hiring other people. It’s helpful to write down all the hats you may have to wear for a while. Set goals for yourself in each of these roles, and identify areas where you need to learn more through reading, classes, or mentorship, or where it is more optimal to use some of your limited resources to hire someone. When you are wearing many hats, it’s easy to get caught in executing on the day-to-day operations of the business, or working in the business, and forget about developing future plans, or working on the business. Set a date with yourself each week to reflect on what you’ve learned in your business and work on prioritizing strategic opportunities, and refining your product design, market positioning, business processes, and financial plans. Taking this time to work on the business will support you in making the business sustainable over the longer term. As CEO, you are ultimately responsible for the business’ performance. To effectively manage performance, there has to be a clear system of goals and metrics to measure against. This is not your to-do list. Based on your strategic planning, identify three to five major goals for the year that tie to the business’ mission, vision, and values. When identifying each goal, specify the timeframe you seek to accomplish it by and how you will measure success. As you work in the business, ensure your day-to-day activities are aligned with the goals, and that you are actively measuring and reporting on your progress. Culture is the set of shared values, beliefs, attitudes, and behaviors that characterize a group of people. It is a key component in your business and has an impact on its strategy and day-to-day operations. The business’ culture drives how things get done. A business’ culture isn’t developed overnight; it needs to be nurtured. As the CEO, you set the standards for the business culture by developing and communicating the business’ first statements of values, as well as by actively modeling attitudes and behavior in alignment with those values. It takes vision, creativity, and courage to be a founder. To transition from founder to CEO, however, it takes a lot of commitment and accountability. As a small business or startup founder, it is your decision to make: are you ready to be the CEO? Great points. I have encountered numerous challenges since re-launching my startup, networking, sacrificing, going through yet rather hire myself than continue to be told by corporate I am now too over qualified to work this is sad case for many that are afraid to pursue their own business.